My spouse, the education tipster, taught for years on Long Island. This is an open letter written by one of her former students in Long Beach on the island, who is impacted by the terrible storm up there. Thank you all for your well wishes and your prayers I deeply appreciate them. My friend Lisa has been good enough to post on here for me and today I'm in Rockville center for some Wifi, to post this. So everyone understands, I'm appreciative of FEMA, the National Guard, and the Red Cross but the reality of the situation is that when this type of disaster happens the first responders, neighbors, and yourself are what will get you through. My day begins at 5:30 am when I get up and get myself, my son, and my dog ready. I power my cell phone on the car charger while we drive to get online for gas two towns away and fill up our gas cans and the car we are using. My car was submerged by the bay on Monday night. My mother is letting me use her car after the cars at my parent’s house were miraculously left untouched. After an hour wait for gas we see if we can grab a guilty luxury of hot coffee somewhere and maybe a newspaper to see if anyone can tell us when the power could be back. My father will be at city hall at 9am. His usual routine is to ask questions and be told to talk to FEMA officials. When he asks where they are no one knows. The FEMA volunteers are giving out water and food today by the schools but anyone with answers will be available at some point later. I sat outside Starbucks in Rockville center to get WiFi and filled out my FEMA application on their website for my home and my business both of which are ruined. The house I will clean out on Monday but it is 17 miles away and I don't want to drive out there until I know gas will be easier to obtain. The business will only be given a loan at 4% and only after I go through my insurance. My insurance broker has been unreachable for the business and when I drive to Rockville center tomorrow for cell service I will try the main company. At best they will look at my store in 2weeks and most likely a month, not sure when FEMA will or what either will do or what I will qualify for, it's mostly just about waiting when it comes to either of them. I stop by home depot to try and get a kerosene space heater but they are sold out. I'm bummed. I wanted to buy one for my grandmother and my friend who have no heat other than their gas stoves. I stop at ACE and they are out too but just got kerosene fuel in so I buy two gallons just in case I get heater later. all the inventory including the early inventory we brought for Christmas. The florist case is destroyed and the flowers are rotting in the case. 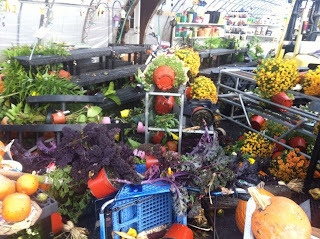 Every plant in my greenhouse was flooded with salt water, every bag of soil, and fertilizer is ruined. We put a forklift and Gerard's motorcycle in here for protection and both appear to be dead. The front of the greenhouse was smashed when the rising water brought pallets of soils from the back of the store to front, crashing them in to the benches that then pushed in the front wall of the greenhouse. The heating systems were destroyed and the pickup was flooded as well. Today we will work cleaning out the store till 3. I speak to my friend who owns the repair shop across the street. He asks me if he could buy some fire wood but I refuse his money and tell him to take what he needs. He lost everything in his shop. All his tools and equipment are gone. He got in touch with his insurance broker who told him he is covered for hazard but not flood. He doesn't want a loan to get back in business so he will take his own savings to reopen. He is a good man and I'm sorry for him. We had some people come in to buy firewood even after I warned them it needed days to dry out from the salt water and wet sand covering it. They didn't care. It broke my heart to turn one guy away when he didn't have cash, but there is no power for credit and we are down to three chords of wood. If I knew I could get more wood I would have given it to him but I can't get a hold of my wood guy. We finish cleaning and as we head out, I thank everyone. While there is still light out I walk Nula through the town. The pictures I saw in the paper don't do it justice and they don’t describe the smell of oil and gasoline that had been everywhere. There is a 12' section of the boardwalk on top of a red Nissan a half of a mile from where the boardwalk used to be. It’s quiet too, with just the sounds of generators or clean-up crews breaking the silence, but the liveliness that was this town is gone. The bull dozers have been pushing the beach out of the streets round the clock for two days now and the west end of long beach is obliterated. All the apartment buildings have been vacated except for the supers who are pumping water out. I bump into my uncle who is back from the rockaways and tells me they are worse. His neighbor’s house in belle harbor is missing the front. He tells me the Hess in Island Park opened one pump an hourago and the gas line is 2miles long already. He told me state troopers are there to keep it in order. My beautiful beachside town I grew up in and love has its sidewalks lined with the contents of people's homes, all just ruined. There are so many abandoned cars that they have been slapped with stickers so the tow companies know which to get later. I walk by my friend Carlos's clothing store. It's boarded up but I already know he must have lost everything there. I remember reading that Billy Joel and Bruce Springsteen are doing a benefit concert for the devastated areas. I think it's kinda funny that they think they will help anyone when they really need it. If they didn't do the concert and sent some generators here that might be of help, but I'm not a fan of either so I'm just a little jaded. I have to get home before curfew starts. The National Guard will arrest anyone on the street after 7pm. 5 days of this and I'm exhausted, I just have to hold out till it’s back to normal. I would like to say I talk to my parents but I'm so mentally tired I just nod a lot and tell them I don't know. I try not to speak because I want to keep level headed and focus on what I can do. When I think of what I can't control I start to lose it. I tell my parents LIPA might have the power on by November 10 or 11th by what the paper said but I don't think we will have before Thanksgiving because of a nor'easter that might hit next Wednesday. They say we might have water by Monday or Tuesday and we shouldn't use the tap to even wash. My son brings firewood in and I am thankful for him. He has been my right arm since he moved in with me and I try to keep strong for him. I don't know where we will live when the power comes back. The house I have I had just rented out was destroyed, and the apartment that I was renting most likely will be condemned. The foundation shifted in the flood and until they get a structural engineer they can't pump the water out of the basement for fear it might collapse. Apartments will be hard to find because there won't be that many livable ones available and most of my savings will be used up just living without any income coming in from my store. I spend my night watching my son play with my nephew. My nephew runs through the house laughing the way only toddlers can. It has become my greatest joy watching them and spending time with my parents, my sisters and my nephew. God can show you how important the little things you take forgranted are. I try not to let everything else worry me and just dwell on these things, letting them become my most important memories. I thank the Lord that so far everyone I know is ok. I thank him that my parent’s home was ok and they have heat and room for my son and I. I am fortunate compared to most. I hope I can find some heaters for my grandmother and my friend. It’s going to be chilly at night now and they could get sick. I know my uncles will take care of my grandmother but they are in the Rockaways and if thats worse then here then I have to help them. We might get assistance by the end of the month but I can't think that far ahead. I just need to get through tonight and get ready for tomorrow, where I will get up at 5:30am and start over again. Keep us in your prayers and if you choose to help someone find out what they need and fed ex/ups it. They will get it from you before any government assistance will get there, and it will go directly to them. I love you all, God Bless you. So heartbreaking. We live in Northern NJ but consider ourselves luck compared to many. We were without power for over a week, have had trouble finding petrol although the rationing helped, and had only cosemtic damage to our home. Our church partnered with a church on Staten Island so I took bags of things collected from friends over on Saturday to be delivered on Sunday. It felt good to do something concrete. I wish everyone could read this letter. It feels like the media has focused on things being back to normal, but for some they never will be. God bless your friend...I will send something to his site. I have family in NYC and they were stranded also for such a long time. Things are slowly getting back to normal but who knows how much longer before, and.... if things will ever be the same. Thank you so much for this letter. I so hope this ends for those in need soon. We have sent a care package to relatives but so far they haven't received it. JOYCE: I lived in North Bergen on the palisades across from mid-town manhattan for a couple years before I got drafted. We have a friend in Howard Beach (Queens) who has 5 feet of water in her basement but luckily got electric power 2 days ago. These storms ar a killer and as usual the government cannot do a lot, but citizens can. People like you are a real treasure in times like these.I wish the govt could learn from these terrible incidents to better deal with them later. There has to be, somehow, a better way, maybe mobilizing the Natl Guard or something. I read about and feel sorry for the elderly residents in a Rockaway apartment complex, both the man and wife have serious issues and cannot get the healthcare because of the damage. We are praying, I hope they gain some comfort soon. LYNN PROCTER: It really hits home when you read about one single victim. MY JOURNEY WITH CANDIDA: Yeah Terry, these things take a long time, not as long as with Katrina I hope. Things will get better, eventually. ARE WE THERE YET: I hope so too, best of luck to your relatives. I am so sorry for this man's loss. As you know, Anthony, from my posts, we had a land hurricane here in June, and our house was one of the hardest hit - three cars hit, three trees on the house, trees in the pool, trees blocking the driveway, trees just absolutely everywhere. 3 months later, just last week, we finally finished recovering from the mess by replacing the truck that was totalled. It's a long road, recovering, and you feel powerless, lost, and like it will never end. Good luck, sir, and God bless. How dreadful. Nothing brings the true scope of the disaster into focus more clearly than hearing about it from someone who's actually living it. Thank you for sharing his story. Such a heartbreaking story. Thanks for sharing it. The photos are as powerful as the words. I'm from Long Island, and have family and friends on Long Island. Most just lost power, but one aunt's home flooded. She's living with her daughter while she gets an estimate to repair her house, buys a new car to replace the one that got ruined, and tries to move her business from her home to her daughter's home. It's a devastating time for many people. It is heart breaking story Anthony, I know what will be when hurricane hit. I gone through the experience when IKE came here. Luckily we have not much damage other than a fence. But lived in house without power for 36 hours. Wow, that sounds horrible! Thank you for sharing the perspective of someone who's in the midst of the damage...I wish the news would do a better job conveying the continued need for help. I hope things get better for your wife's former student and the others in similar situations. DAWN @LIGHTEN UP: Oy Dawn, how horrible that must have been. I'm sorry, I forgot or can't remember that hassle you went through. Your articles are always so cool, somehow I missed the boat on that tragedy. From June until now is quite a long period, I empathize with you. I am happy though that you are getting back to normal and feeling a little more better. Blessings dear lady. LOLY: Yeah yeah, these kinds of things are terrible, whether it is a hurricane, earthquake. tsunami or whatever. Thank you for calling. SUSAN FLETT SWIDERSKI: Thanks Susan, you're right; when you hear it straight from the horses mouth, so to speak, it packs a more powerful message. THERESA MILSTEIN: Just having one home flooded is bad enough, these things can be very trying, I know. Thanks for commenting Theresa. SWATHI IYER: You definately have personal experience with this kind of problem. When I lived in New Orleans we dealt with hurricanes a lot and you don't ever get used to it. Glad to hear from you. LIZZY DO: Sandy was indeed a terror. I hope we can learn from this to better deal with these situations in the future. Thanks Lizzy. 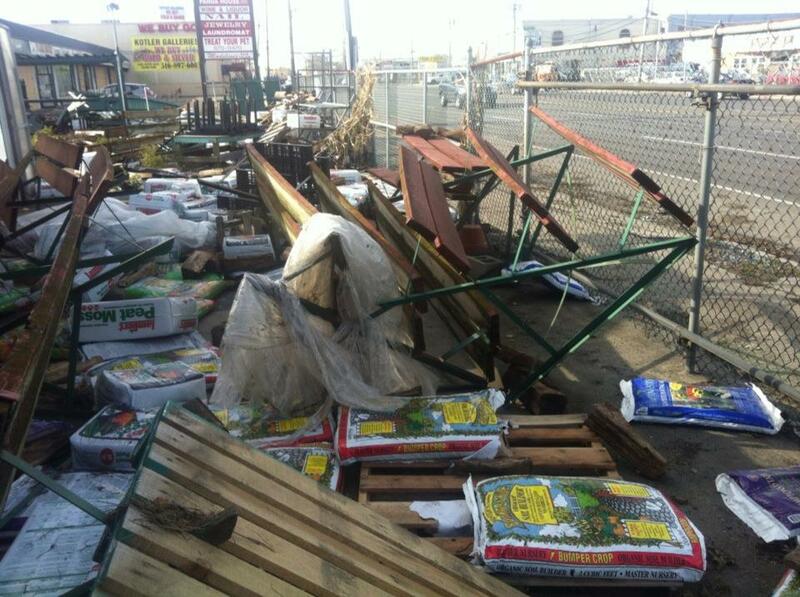 It's so sad to hear about the damage Hurricane Sandy caused. Thank you for posting this! Anthony, thank you for sharing this letter. All those who have been affected by Hurricane Sandy are in my prayers. THE GOLDEN EAGLE: It's a gripping tale when you hear it first person loike that. SUSANNE DRAZIC: I thoght reading this would be better than all the news reports. LYNDA R YOUNG: Thank you Miss Lyn, we can't over-pray. He was just a kid when Kathy taught him, hope the rest of his life fares better, which I know it will. I just read your post here and found some intersting thing about your service thanks a lot for serving such type of service. ANGILA HEROSE: I agree with you. The aftermath of these disasters seems to linger on and on. Thank you for calling. JULIA RUTH: Thank you so much for those kind words.